In the days after the horrific massacre in Paris, stories have begun to emerge from the survivors of that terrible night. Their stories are stories of the goodness of other human beings on a night that knew nothing but death, their stories are a testament to us that when the wicked force us to face their dark deeds, even a divided people will unite, rise up, and be strong. 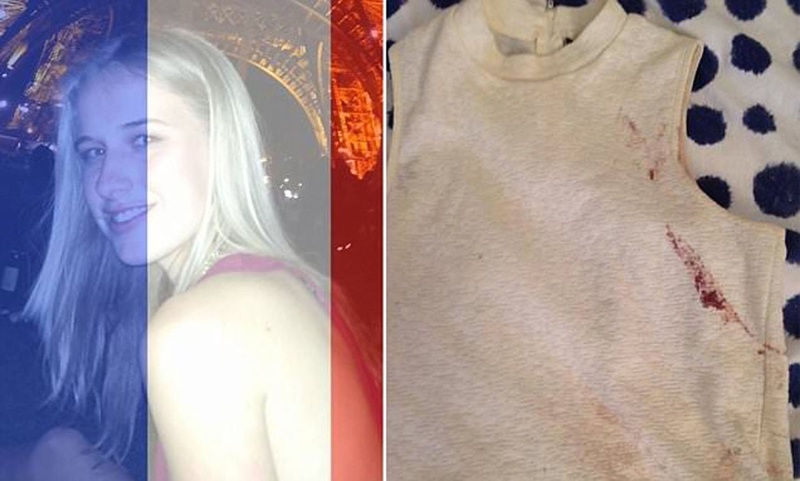 Fox News reported that one survivor, Isobel Bowdry, took to Facebook to recount what happened. Bowdry was one of the luck ones to survive the shooting in the Bataclan music theater, where over 80 people were gunned down. Bowdry wrote of how she watched futures be destroyed that night and how the terrorists circled around “like vultures” killing without a moment’s hesitation. Her story wasn’t all death and despair. She also wrote of the heroism she witnessed that night, and of the simple goodness of human nature that gave her hope. “To the man who reassured me and put his life on the line to try and cover my brain whilst i whimpered, to the couple whose last words of love kept me believing the good in the world, to the police who succeeded in rescuing hundreds of people,” she wrote. She listed off many other people who opened their hearts to her that night and gave her a sense of calm after she had witnessed so much evil and death. “You make me believe this world has the potential to be better,” she wrote. you never think it will happen to you. It was just a Friday night at a rock show. the atmosphere was so happy and everyone was dancing and smiling. and then when the men came through the front entrance and began the shooting, we naively believed it was all part of the show. It wasn’t just a terrorist attack, it was a massacre. Dozens of people were shot right in-front of me. Pools of blood filled the floor. Cries of grown men who held their girlfriends dead bodies pierced the small music venue. Futures demolished, families heartbroken. in an instant. Shocked and alone, I pretended to be dead for over an hour, lying among people who could see their loved ones motionless.. Holding my breath, trying to not move, not cry – not giving those men the fear they longed to see. I was incredibly lucky to survive. But so many didn’t. The people who had been there for the exact same reasons as I – to have a fun Friday night were innocent. This world is cruel. And acts like this are suppose to highlight the depravity of humans and the images of those men circling us like vultures will haunt me for the rest of my life. The way they meticulous aimed at shot people around the standing area i was in the center of without any consideration for human life. It didn’t feel real. i expected any moment for someone to say it was just a nightmare. But being a survivor of this horror lets me able to shed light on the heroes. To the man who reassured me and put his life on line to try and cover my brain whilst i whimpered, to the couple whose last words of love kept me believing the good in the world, to the police who succeed in rescuing hundreds of people, to the complete strangers who picked me up from the road and consoled me during the 45 minutes I truly believed the boy i loved was dead, to the injured man who i had mistaken for him and then on my recognition that he was not Amaury, held me and told me everything was going to be fine despite being all alone and scared himself, to the woman who opened her doors to the survivors, to the friend who offered me shelter and went out to buy new clothes so i wouldn’t have to wear this blood stained top, to all of you who have sent caring messages of support – you make me believe this world has the potential to be better. to never let this happen again. but most of this is to the 80 people who were murdered inside that venue, who weren’t as lucky, who didn’t get to wake up today and to all the pain that their friends and families are going through. I am so sorry. There’s nothing that will fix the pain. I feel privileged to be there for their last breaths. And truly believing that I would join them, I promise that their last thoughts were not on the animals who caused all this. It was thinking of the people they loved. As i lay down in the blood of strangers and waiting for my bullet to end my mere 22 years, I envisioned every face that I have ever loved and whispered I love you. over and over again. reflecting on the highlights of my life. Wishing that those i love knew just how much, wishing that they knew that no matter what happened to me, to keep believing in the good in people. to not let those men win. Last night, the lives of many were forever changed and it is up to us to be better people. to live lives that the innocent victims of this tragedy dreamt about but sadly will now never be able to fulfill. RIP angels. You will never be forgotten.